Rear End Loaders (REL) are ideal for companies who produce larger volumes of dry compactable waste. Rear End Loaders are waste collection units which can be easily locked and have both front and rear access. Rear End Loaders are emptied on site and cannot be moved. These containers are not designed for heavy materials such as glass or construction waste. 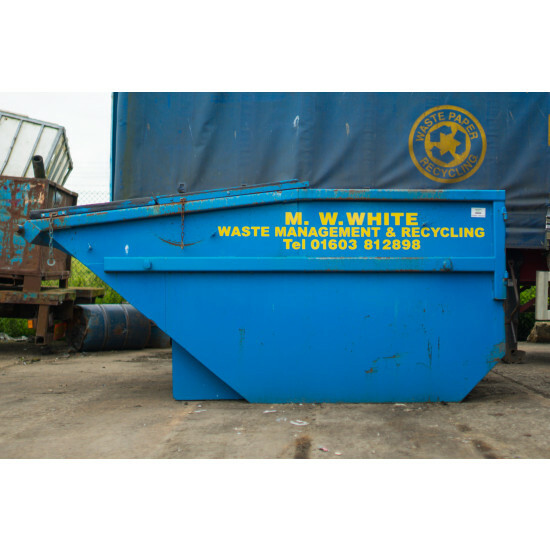 Rear End Loaders can also be supplied for a Dry Mixed Recycling and Cardboard Service. They can be emptied on a scheduled collection service or a ‘on demand’ service for less consistent waste producers. Please contact our specialists today for advice on your specific needs by calling 01603 812898 or filling out our contact us form.